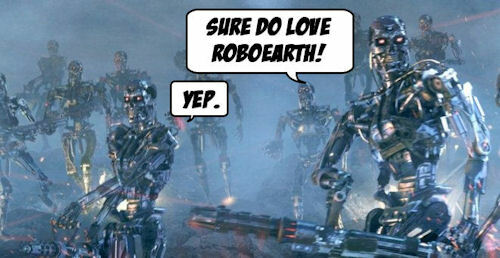 Is this the ultimate weapon for the inevitable Terminator: Salvation robot apocalypse? We here at Weird Things aren’t just committed to telling you about all the weird things going on in your world, we’re here to do something about it! As every day brings us closer to the robot apocalypse envisioned in the Terminator saga, we’ve been preparing ourselves for a fighting chance. 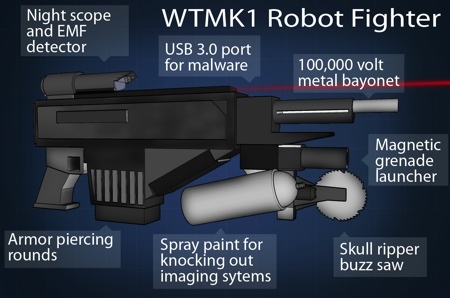 Our editors (actually just this one; the others looked at me funny when I suggested this) decided to design the ultimate weapon to use in the front lines of the man versus machine war. You are currently browsing the archives for the Terminator category.